! 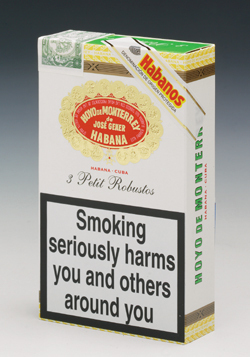 DON JOSE GENER Y BATET WAS A SPANISH IMMIGRANT TO CUBA AND PURCHASED THE HOYO DE MONTERREY FARM IN THE EARLY 1860'S. 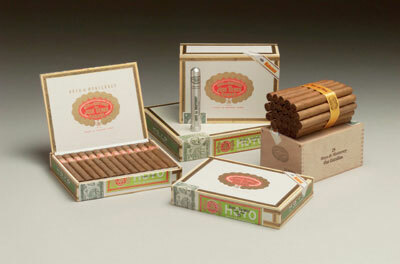 HOYO DE MONTERREY IS DERIVED FROM THE SPANISH WORD 'HOYO' WHICH MEANS 'HOLE'. 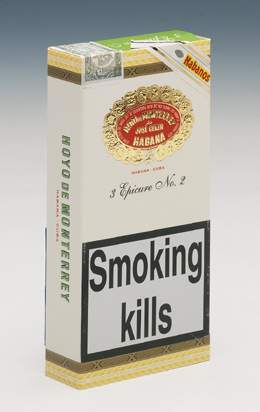 THE AREA - SAN JUAN Y MARTINEZ - WAS RENOWNED FOR PRODUCING THE BEST TOBACCO. 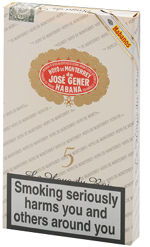 THE BRAND 'HOYO DE MONTERREY DE JOSE GENER' WAS FIRST REGISTERED IN 1865. 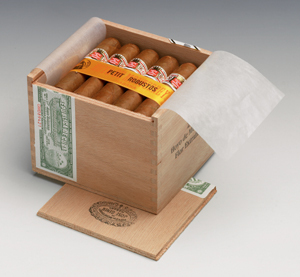 THE CIGARS WERE SOON TO WIN INTERNATIONAL ACCLAIM AND WERE (AND STILL ARE) VERY POPULAR IN THE BRITISH MARKET. THE TOBACCO BLEND IS CREAMY SWEET, MILD AND AROMATIC! San Juan y Martinez is a small town in Vuelta Abojo which is the main source of tobacco for Habanos. 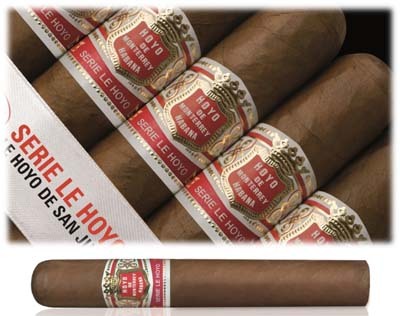 The new heavy ring gauge cigars joining the Le Hoyo range uses only Seco and Ligero leaves which gives the cigars a rich finish whilst maintaining a refined light aroma that is a character of the Hoyo de Monterrey brand.